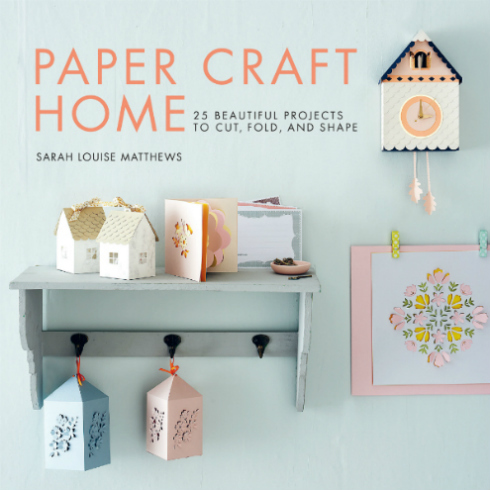 As promised in my previous post that featured the new book Paper Craft Home by Sarah Louise Matthews (U.S. folks, a giveaway is underway through Saturday, August 4 - go enter! 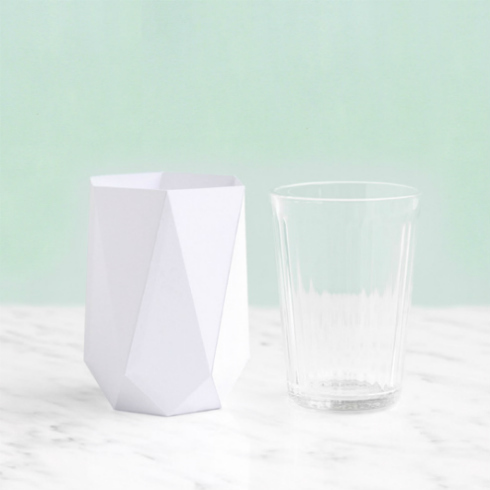 ), here is one of my favorite projects found within its pages... Roost Books has shared the complete instructions and template to make the faceted Minimal Vase. Access the template via Flickr. Click the download arrow found at the lower right corner of your screen, choose Original size, Save File, and print at 100%. 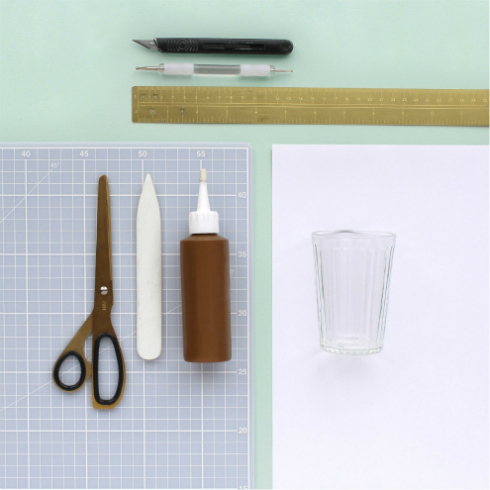 It will fit on one sheet of letter-sized paper, however, the finished vase will be smaller than the ones shown in the example photo. 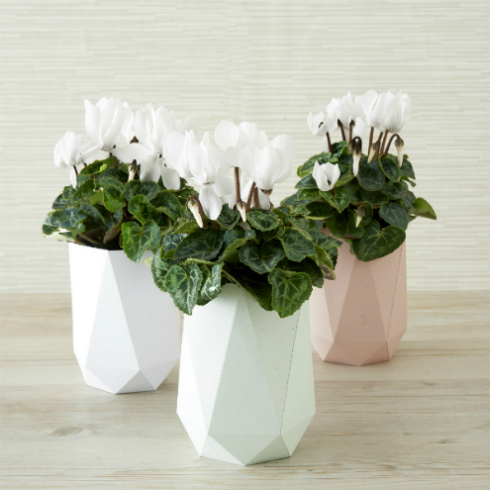 If you would like your finished vase to match the example, print it at 128% as stated on the template (will fit on a ledger/tabloid sheet of paper; take the file to any print shop). 1. Using the template, cut out the shape using an X-acto knife, cutting mat, and metal ruler, or scissors if you prefer. 2. 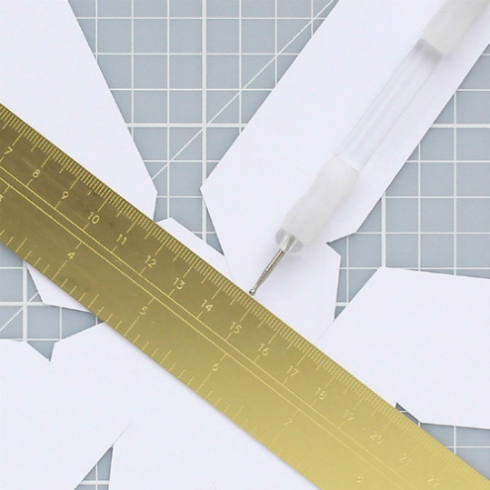 Use an embossing tool and ruler to score the fold lines. 3. 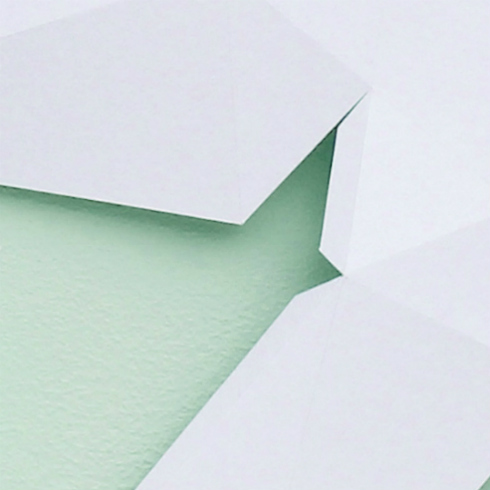 Use a bone folder to fold each scored line into a mountain fold. 4. Turn the creased piece over so that you are working on the back and the folds are now valley folds. 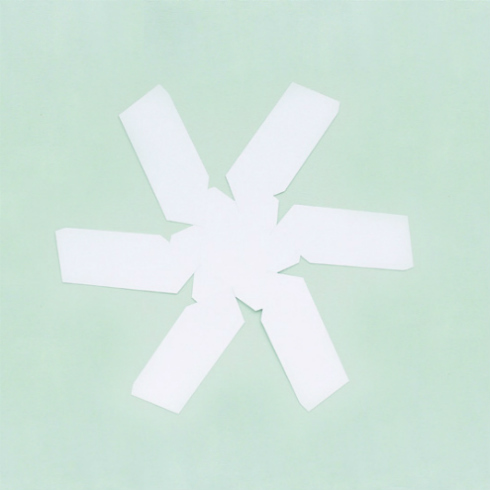 Each section that splays out from the center has two tabs down one side. Work around the piece, applying a thin layer of tacky glue to the back of each tab, before attaching it to the front of the adjacent edge, aligning the crease of the tabbed piece with the edge of the adjacent side. 5. Place your glass in the paper vase, then just add water and fresh flowers! Tip You could also use this as a pen pot, makeup brush pot, or even a plant pot (just remember to add pebbles to the bottom of the glass for drainage). 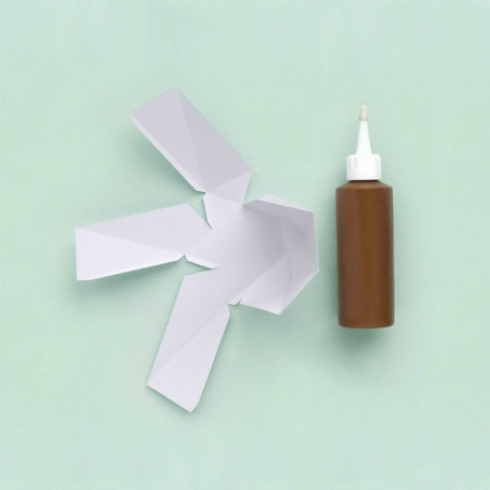 See additional pretty projects from the book. It is available via Amazon and Book Depository. The latter always offers free shipping worldwide. And oh look! The book is on sale right now. 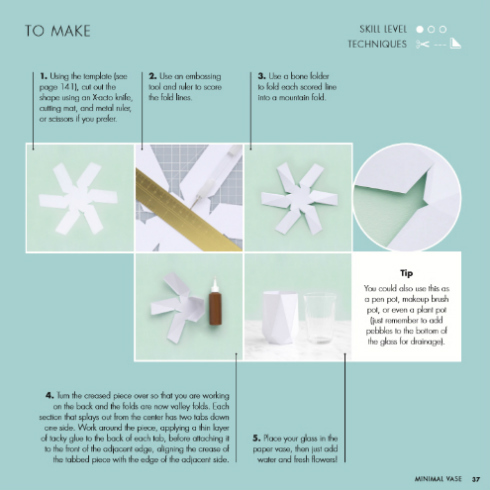 From Paper Craft Home by Sarah Louise Matthews © 2018 Sarah Louise Matthews. Reprinted in arrangement with Roost Books, an imprint of Shambhala Publications, Inc. Very elegant, will have try it.